Протокол № __ от _______________201__ г.
Зам. директора по УР ___________________ Заплетина Е.П. Данное учебно-методическое пособие по дисциплине «Иностранный язык» разработано для студентов ПЭК ГГТУ, обучающихся по специальностям: 09.02.01 Программирование в компьютерных системах, 09.02.01 Компьютерные системы и комплексы, 13.02.11Техническая эксплуатация и обслуживание электрического и электромеханического оборудования (по отраслям), 13.02.02 Теплотехники, 09.02.06 Сетевое и системное администрирование, 09.02.07 Информационные системы и программирование. Пособие представляет собой сборник текстов для чтения технической направленности по специальности с заданиями к ним. Основными целями данного пособия являются развитие у студентов, обучающихся техническим специальностям, умения читать специализированную литературу, расширять лексический запас, совершенствовать лексико-грамматические навыки, полученные на уроках. Использование данного пособия способствует формированию навыка перевода специализированных текстов и использования терминологии в устных высказываниях. Задания к текстам предусматривают развитие у студентов умений читать с целью поиска нужной информации, а также с полным пониманием прочитанного. Содержание данного учебно-методическое пособия направлено на формирование лингвистической, социолингвистической и предметной компетенций обучающихся. Для облегчения работы пособие снабжено словарем после каждого текста. Данное учебное пособие может быть использовано как для аудиторной работы со студентами, так и для самостоятельной работы студентов. 50 years ago people didn't even heard of computers, and today we cannot imagine life without them. Computer technology is the fastest—growing industry in the world. The first computer was the size of a minibus and weighed a ton. Today, its job can be done by a chip the size of a pin head. And the revolution is still going on. Very soon we'll have computers that we'll wear on our wrists or even in our glasses and earrings. The next generation of computers will be able to talk and even think for themselves. They will contain electronic "neural networks". Of course, they'll be still a lot simpler than human brains, but it will be a great step forward. Such computers will help to diagnose illnesses, find minerals, identify criminals and control space travel. Some people say that computers are dangerous, but I don't agree with them. They save a lot of time. They seldom make mistakes. It's much faster and easier to surf the Internet than to go to the library. On—line shopping makes it possible to find exactly what you want at the best price, saving both time and money. E—mail is a great invention, too. It's faster than sending a letter and cheaper than sending a telegram. All in all, I strongly believe that computers are a useful tool. They have changed our life for the better. So why shouldn't we make them work to our advantage? Sowhyshouldn'twemake them work to our advantage? зд.—Почемубыихнезаставитьработатьнанас? Do you think it's a useful tool? Will computers become smaller in the future? Can the Internet help you to do your homework? Can computers help us to learn foreign languages? Do you play computer games? What are the advantages of on—line shopping? What are the advantages of e—mail? Do you think that computers are bad for health? Some people have made friendstfirough the Internet. What about you? Some people say that computers make us less sociable. Do you agree? PETROLEUM: WHAT IS IT? HOW WAS IT CREATED? We all know how important energy is. People get energy from many different sources, such as coal, natural gas, wood, and the sun; however, the most common type of energy source in most industrial societies is petroleum. (2) How was it created? (3) How is it used today? How important do you think petroleum is to people all over the world? Why do you think so? (4) Petroleum is а very important mineral. It gives us heat and light. It also gives us power for our cars, planes, and ships. It gives us power for machines of all kinds. What exactly is petroleum? Petroleum is a mineral that is a mixture of hydrocarbons. It is an oily liquid which may be brown, green, or black in color. The word "petroleum" comes from Latin and Greek. It means "rock oil"
Crude oil is petroleum that comes directly from deep in the ground. It is then taken to a refinery. A refinery is a kind of factory with equipment in it to refine oil At a refinery the crude oil is purified and separated into its various parts. From the refined petroleum we obtain important products, such as gasoline, kerosene, fertilizers, detergents, plastics, drugs, and perfumes. These are just a few of the thousands of useful products we get from this valuable mineral petroleum. to create – to make; to produceHow was petroleum created? mixture – combinationPetroleum is a mineral that is a mixture of hydrocarbons. liquid – fluidPetroleum is an oily liquid which may be brown, green, or black in color. ground– the surface of the earthCrude oil is petroleum that comes directly from deep in the ground. to purify – to cleanThe crude oil is purified and separated into its various parts. to obtain – to getFrom the refined petroleum we obtain important products, such as gasoline, kerosene, fertilizers, detergents, plastics, drugs, and perfumes. 1. What is petroleum that comes directly from the ground called? 2. Where is crude oil purified? 3. What does the word petroleum mean in Latin? 4. What is one natural mixture of hydrocarbons called. 5. What is an important product we get from petroleum? 1. Petroleum provides power for cars, bur not planes. 2. Petroleum was formed from the remains of plants and animals that died several years ago. 3. Petroleum may be black, green, or brown in color. 4. We obtain gasoline from refined petroleum. 5. We get thousands useful products from petroleum. "What prompted you in the choice of your diploma work?" the chairman asked. "The experience of my own work," Rudolf answered. Rudolf had come to the enterprise as an ordinary fitter after leaving a seven-year school. He had-a thirst for knowledge, and soon understood that he could not become a qualified worker without specialized study. So he entered the evening department of the Riga electromechanical secondary school. Soon he realized how helpful was the theoretical knowledge he received. He started to apply this knowledge to his work and developed very rapidly. When he graduated from the technical school, he decided to go on studying and so, year after year, he worked in the daytime and studied at the institute in the evening. Many temptations had to be overcome — even visits to cinemas and theatres were rare. But today Rudolf is happy. He has passed his graduation examinations with honours and has become a qualified engineer. Rudolf says that even now he is not going to stop studying, but plans to take a post-graduate course. 1. Who listened to Rudolf's explanations? 2. What prompted Rudolf in the choice of his diploma work? 3. What was his profession after he left a seven-year school? 4. Why did he decide to enter the evening department of the Riga electro-mechanical secondary school? 5. Where did he study after graduating from the technical school? 6. How did he pass his graduation examinations? 7. What are his plans for the future? B. Retell the text "Worker Gets Engineer's Diploma". Americans smoke six thousand million cigarettes every year (1970 figures). This is roughly the equivalent of 4195 cigarettes a year for every person in the country 18 years or older. It is estimated that 51% of American men smoke compared with 34% of American women. Since 1939, numerous scientific studies have been conducted to determine whether smoking is a health hazard. The trend of the evidence has been consistent and indicates that there is a serious health risk. Research teams have conducted studies that show beyond all reasonable doubt that tobacco smoking, particularly cigarette smoking is associated with a shortened life expectancy. Cigarette smoking is believed by most research workers to be an important factor in the development of cancer of the lungs and throat and is believed to be related to cancer of the bladder and the oral cavity. Male cigarette smokers have a higher death rate from heart disease than non–smoking males. (Female smokers are thought to be less affected because they do not breathe in the smoke so deeply.) The majority of physicians and researchers consider these relationships proved to their satisfaction and say, "Give up smoking, If you don't smoke – don't start!" Some competent physicians and research workers – though their small number is dwindling even further are less sure of the effect of cigarette smoking on health. They consider the increase in respiratory diseases and various forms of cancer may possibly be explained by other factors in the complex human environment – atmospheric pollution, increased nervous stress, chemical substances in processed food, or chemical pesticides that are now being used by farmers in vast quantities to destroy insects and small animals. Smokers who develop cancer or lung diseases, they say, may also, by coincidence, live in industrial areas, or eat more canned food. Gradually, however, research is isolating all other. Possible factors and proving them to be statistically irrelevant. Apart from statistics, it might be helpful to look at what smoking tobacco actually does to the human body. Smoke is a mixture of gases, vaporized chemicals, minute particles of ash, and other solids. There is also nicotine, which is a powerful poison, and black tar. As the smoke is breathed in all these components form deposits on the membranes of the lungs and cancer begins at this point. Smoking also affects the heart and blood vessels. It is known to be related to Berger’s disease, a narrowing of the small veins in the hands and feet that can cause great pain and lead even to amputation of limbs. Smokers also die much more often from heart disease. While all tobacco smoking affects life expectancy and health, cigarette smoking appears to have a much greater effect than cigar or pipe smoking. However, nicotine consumption is not diminished by the latter forms, and current research indicates a causal relationship between all forms of smoking and cancer of the mouth and throat. Filters and low tar tobacco are claimed to make smoking to some extent safer, but they can only marginally reduce, not eliminate the hazards. A. Say whether the following statements are true or false according to the information given in the passage. 1. According to 1970 figures there are twice as many men smokers as women smokers in the United States. 2. In 1939 numerous scientific studies proved smoking causes fatal diseases. 3. In spite of consistent evidence that smoking is most probably a serious health risk, scientists are still not in a position to prove absolutely that it actually causes life–shortening diseases. 4. Some research workers in the field of smoking and disease do not believe smoking to be necessarily an important factor in the development of cancer of the longs and larynx. 5. Female smokers are probably less affected by heart disease because they inhale the smoke less deeply. be caused by other factors in the complex human environment. 7. One of the major difficulties of research into human health problems is the difficulty of isolating particular, individual factors from the complex human environment. 8. Tobacco smoke is a mixture of two poisonous gases. 9. Since the elements of tobacco smoke are deposited in large amounts at the point where the bronchus divides, and since this is the point where most long cancer starts, we can logically conclude that tobacco smoking is definitely the cause of long cancer. 10. Cigar and pipe smokers consume marginally less nicotine than cigarette smokers. B. Find the following words in the passage and select the meaning you think is most likely to correspond among the choices given. C. Fill in the numbered blanks from the selection of words given below. The correct choices will complete the sense of this summary of the reading passage. In 1970 nearly half the __(1) population of the U.S.A. were smokers, in __(2) the fact that medical research has shown beyond reasonable doubt that smoking is associated with poor health. One very important disease with __(3) smoking is thought to be connected, is __(4). __(5), a few doctors think such things as bronchitis and cancer have other __(6), __(7) their view is not well–supported statistically. Although all forms of __(8) are almost certainly dangerous, cigarettes appear to be the most harmful. The Nobel Prize is one of the greatest honors in the world today. Once a year, people win this prize for their work in science, medicine, literature, economics, or world peace. Each winner receives a gold medal, a diploma, and about $1 million. They also earn the respect of people around the world. Nobel Prize winners receive their awards at ceremonies in Stockholm, Sweden, and Oslo, Norway, on December 10, the anniversary of the death of Alfred Nobel. Nobel was a scientist and inventor. In his will, he left his fortune to create the Nobel Prize. Nobel wanted people to remember him as a man of peace, but in his lifetime he was most famous for building weapons of war. Alfred Nobel was born in 1833 in Stockholm, Sweden. His father, Immanuel, was an inventor. After Alfred was born, his father went to Russia to work. He worked with the government and made machinery and explosives. Several years later, Immanuel moved his family to Russia. Alfred and his two older brothers were interested in science and enjoyed watching their father in the laboratory. When Alfred was 17 years old, he traveled to the United States and several European countries to study. Then he returned to Russia to work with his father and his brothers. They worked on explosive weapons of the Russian military. At that time, the military used only one type of explosive–gunpowder. Then a chemistry professor showed the Nobels a heavy, oily liquid they could use in their work. It was called nitroglycerin Nitroglycerin was a powerful explosive, but it was dangerous to work with. Alfred and his father experimented with nitroglycerin. Finally, in 1863, Alfred invented a way to make it more safe. Scientists everywhere praised his work. Nitroglycerin had many good uses. Workers used it to build roads through mountains and to construct mines deep in the earth. Nobel's invention was not perfect, however. Nitroglycerin exploded if someone dropped it or used it incorrectly. Sometimes it leaked from the cans. Sometimes workers used the oily liquid on wheels or to clean their shoes! This often caused accidents and injuries. After a while, some governments started to ban nitroglycerin because it was dangerous. The Nobels continued to experiment to make nitroglycerin safer. Unfortunately, in September 1864, Alfred's brother, Emil, was killed in an explosion in their laboratory. 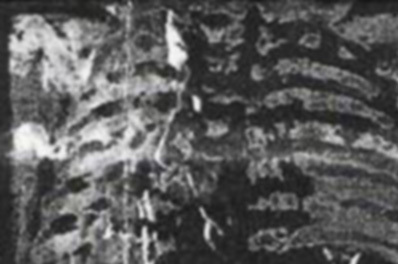 After the accident, Immanuel had a stroke and was paralyzed. He died eight years later, on the same day Emil had died. Alfred Nobel wanted to make nitroglycerin safe. He built a new laboratory and continued his work. In 1867, he discovered a new material to mix with the nitroglycerin. This material made the nitroglycerin safer and more effective. He called his new invention "dynamite"
Nobel built factories all over the world. He continued his experiments and developed new and more powerful explosives. He also became interested in weapons. He developed a new type of gunpowder as well as other materials. Nobel became very wealth. Many people said he was a bad person because he invented destructive weapons. But he believed that nations would stop wars if they had weapons that could destroy each other. In 1888, Alfred Nobel’s older brother, Ludwig, died. A newspaper story confused him with Alfred and called him “the merchant of death." This upset Alfred very much. He wanted people to remember him as a man of peace. Seven years later he wrote out his will and created the Nobel Prize. When he died in 1896, people called his will the greatest gift ever made by one person. Since 1901, men and women from around the world have received Nobel Prizes for their great achievements. People everywhere to remember Alfred Nobel for his efforts к make the world a better and more peaceful place. A. Circle the letter of the best answer. 1. The Nobel brothers __ . 2. During Alfred Nobel's lifetime, many people__ . 3. Alfred Nobel created the Nobel Prize because __ . 1. Each winner of the Nobel Prize receives ________ , ________ and ________. 2. Alfred's father went to work in ________ and then moved his family there. 3. Before Alfred went to work with his father and brothers, he went to ________ and ________. 4. In 1864, Emil Nobel died in an explosion in their ________. 5. 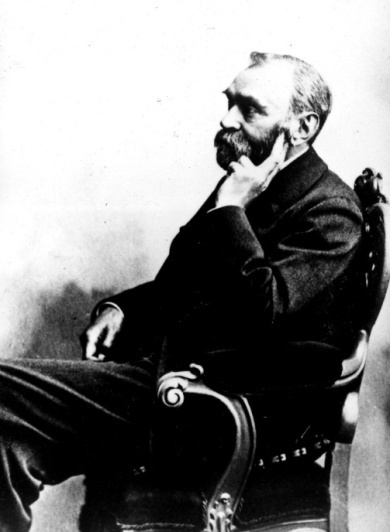 When Alfred Nobel discovered a way to make nitroglycerin safe, he called his new invention ________. 6. Men and women around the world have received Nobel Prizes since ________. 1. Alfred Nobel's inventions were used only by the military. 2. Alfred Nobel didn't care about other people's opinions of him. 3. Alfred Nobel didn't work after Emil's death. D. Match the words with their meanings. E. Work with a partner and answer these questions. Use complete sentences. 1. What are explosives used for? 2. What are some modern weapons? 3. What are some things that are banned? 4. What things are hard for paralyzed people to do? 5. What are some things that are destructive? 6. What is the most effective way to learn new vocabulary? Work with a partner. Tell the story of Alfred Nobel to your partner. Use your own words. Your partner can ask you questions about the story. Then, your partner tells you the story and you ask questions. G. Discuss the answers to these questions with your classmates. 1. What are some other ways to honor people who have done important things! 2. Nobel Prizes are given for science, medicine, literature, economics, and world peace. If you could add another category, what would it be? 3. Should the government let people carry guns? H. On a separate piece of paper, write six sentences or a short paragraph. Describe: something that is dangerous. One day in 1821 a young scientist was experimenting in his laboratory with some wire and a magnet. Placing the magnet in a small coil of the wire, he passed an electric current through the coil. Suddenly the coil began to turn round. That was the first electric motor, the model of all the powerful motors that drive the machinery in our factories today. The young scientist was Michael Faraday, the son of a blacksmith, born in 1791. For several years he was laboratory assistant to Sir Humphry Davy, the great English chemist, inventor of the miners’ safety–lamp. 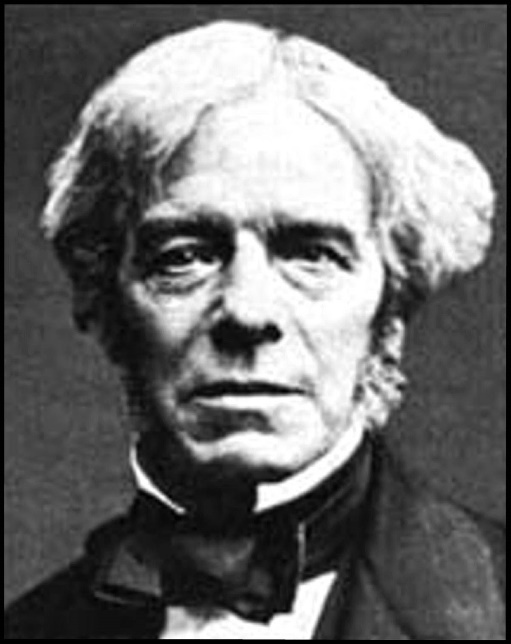 Faraday’s earliest discoveries and experiments were in the field of chemistry, but electricity was always his main interest. About 1821 he began experimenting in electricity. At that time many scientists were trying to discover how magnetism and electricity were related. It was known that a magnet could be made by twisting wire round a bar of iron and passing an electric current through the wire. Ampere, the famous French scientist, showed by his experiments that an electric current could produce the same effects as a magnet. Faraday wanted to answer the following question: if an electric current can produce magnetism, cannot a magnet produce an electric current? running in England and most people were using oil–lamps to light their homes. Year after year Faraday experimented in electricity discovering many of the laws of electricity and magnetism. He died on the 25th of August, 1867. One thing is certain about the public transport of the future: it must be more efficient than it is today. The time is coming when it will be quicker to fly across the Atlantic to New York than to travel from home to office. The two men problems are: what vehicle shall we use and how can we plan our use of it? There are already some modern vehicles which are not yet in common use, but which may become a usual means of transport in the future. One of these is the small electric car: we go out into the street, find an empty car, get into it, drive to our destination, get out and leave the car for the next person who comes along. In fact, there may be no need to drive these cars. 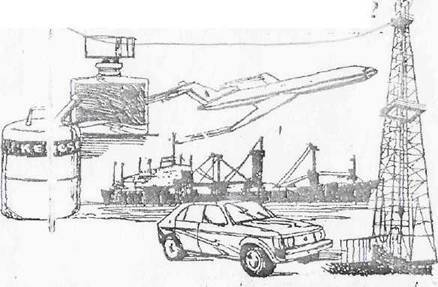 With an automatic guidance system for cars being developed, it will be possible for us to select our destination just as today we select a telephone number, and our car will move automatically to the address we want. For long journeys in private cars one can also use an automatic guidance system. Arriving at the motorway, a driver will select the lane he wishes to use, switch over to automatic driving, and then relax — dream, read the newspaper, have a meal, flirt with his passenger — while the car does the work for him. Unbelievable ?It is already possible. Just as in many ships and aircraft today we are piloted automatically for the greater part of the journey, so in the future we can also have this luxury in our own cars. A decade ago, the only thing electronic on most automobiles was the radio. But at present sophisticated electronics is playing a big part in current automotive research. For example, in every gasoline-powered car that General Motors Corporation makes there is a small computer continuously monitoring the exhaust. The device, about the size of a pack of cigarettes, adjusts the vehicle carburetor fuel intake to get the best fuel economy. Ford cars are equipped with an electronic instrument panel that, among other things, will calculate how far one can drive on the fuel left in the tank. It will also estimate the time of arrival at destination and tell the driver what speed he has averaged since turning on the ignition. According to specialists these features made possible by microelectronics are only the beginning. Radar may control the brakes to avoid collisions, and a display screen may show the car's position on the road. Recently a radar to be mounted on lorries and cars has been designed in the USA. The radar aerial looks like a third headlight placed directly above the bumper. Having summed up the information about the speed and distance of various objects ahead, the computer detects all possible dangers and their nature. A third component in the system is a monitor on the instrument panel. The radar only observes objects ahead of the vehicle. It is automatically turned on when the speed exceeds ten miles an hour. The green light on the panel indicates that the system is on. The yellow light warns of stationary objects ahead, or something moving slower than the car. The red light and buzzer warn that the speed should go down. Another red light and sound signal make the driver apply the brakes. A Japanese company is designing a car of a new generation. When completed, the new model will have a lot of unusual characteristics. The car's four-wheel control system will ensure movement diagonally and even sideways, like a crab, at right angles to the longitudinal axis. This is especially important when leaving the car in parking places. 1. What is the text about? 2. What kind of a car may be in common use in the near future? 3. How will a public electric car operate? 4. How will it operate on a motorway? 5. What electronic devices are there in a modern car? 6. What electronic devices does General Motors Corporation offer for a car? 7. What electronic devices are Ford cars equipped with? 8. Can a radar be used in a car? What will its functions be? 9. What functions will a Japanese car of a new generation have? 10. What materials do the Japanese offer to use for car motors? 1. An automatic guidance system was developed for the electric car. 2. Small electric cars are in common use. 3. Many ships and aircrafts are piloted automatically for the greater part of the journey. 4. Usually having arrived at a motorway, a driver switches over to automatic control and relaxes. 5. A decade ago there were many electronic things in the cars. 6. There is no future for microelectronics in automobiles. 7. Recently a radar to be mounted on lorries and cars has been designed in the USA. 8. A new ceramic engine has been developed in France. My first flight in a hot air balloon was on a still, cold, January afternoon. As the groundreceded,thepilotandIwatchedmychildrenleapingaboutandwaving.Suddenlytheynolongerseemedreal.Theybecametinydollsinatoyvillage.WeflewovermanysmalltownsandvillagesthatafternoonbutmylastingmemoryisofflyingverylowoverManningtreeMarsh.AsIchattedtosomeastonishedfishermenIwasamazedbythebeautyoftheballoon’sreflectioninthewater.Realityreturnedwiththelandingwhichwashardandbruising.Thebruisesdidn’tmatter.IknewfromthatafternoononthatIwantedtospendasmuchtimeasIcouldwithballoons. 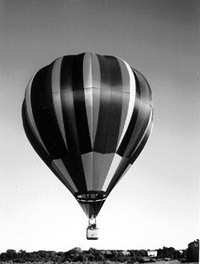 The modern hot air balloon is made from multi-coloured, synthetic material. It is lifted into the sky by hot air provided by propane gas burners. All moderncrafthavebeendevelopedfromaUnitedStatesgovernmentproject.Thisprojectprovedthathotairballooningismuchcheaperthantraditionalhydrogengasballooning. The flight experience is not allstillnessandquiet.Thepropaneburnersareblastinghotairintothecanopyeverytwentysecondsand,likeallsports,thereisanelementofdangerinbothcompetitionandpleasureflying.Thecompetitionpilotwilltakecalculatedrisksinordertodropthecraftpreciselyontarget.Thelessexperiencedleisurepilotmightbecaughtupinunexpectedweatherconditionswhichmaketheballoondifficulttocontrol.Allballoonistsknowtherisksandtrytoprepareforthem.IntheUnitedKingdomtherehavebeenfewaccidentsandonlyonefatality. Like other planets the Earth moves around the sun. But the Earth is different from all the other planets in our solar system. It is well known that life exists only on the Earth. But life does not exist everywhere on the Earth. The surface of our planet in which organisms can live is called "the biosphere". The biosphere includes all the places where life exists: sea, sky and land. The soil on which plants grow and the oxygen we breathe are produced by living things. The biosphere extends vertically to a height of 10.000m (ten thousand metres). above the surface of the earth. In the opposite direction it extends to 5.000m (five thousand metres) below the surface of the sea. It extends to several hundred metres below the land surface. The biosphere depends on the sun's energy directly or indirectly. Energy is important to all living things: microorganisms, complex plants or complex animals. exist [ig’zist]v 1. быть, существовать Does life exist on Mars? 2.жить, существовать We cannot exist without air. Air and water are necessary for existence. know [’nou]v 1. знать, иметьпонятие, бытьвкурсе to know the way to know smth. about smb. 1.Read the words; add some words from the text each column and read them properly. Clouds play an important part in the earth’s weather. They bring the earth water in the form of rain an4 snow. The fluffy white clouds we see across a blue sky and the colorful clouds we see at sunset are also part of the beauty of nature. Not all clouds, however, are beautiful. Some clouds bring destruction and even death. There are three major kinds of clouds. Do you know what these three types of clouds are? You’re going to read to a talk about the three major classes of clouds, and about the kinds of clouds that are in each of the three classes. A cloud consists of tiny drops of water or ice crystals. It floats in the air. Clouds are grouped into classes according to their height above the ground. There are three major groups of clouds: there are low clouds, there are middle clouds, and there are high clouds. The low clouds float less than 6,000 feet or 1,800 meters above sea level. There are two kinds of low clouds. The two kinds of low clouds consist of stratus and stratocumulus clouds. The stratus clouds cover the sky like a white blanket. They bring rain or snow. The stratocumulus clouds cover the sky with large rounded masses. The middle clouds usually lie from 6,000 to 20,000 feet above sea level. Six thousand to 20,000 feet is about 1,800 to 6,100 meters above sea level. Middle clouds are grouped into three subclasses. They are grouped into altostratus, altocumulus, and nimbostratus. An altostratus cloud forms a smooth white sheet across the sky. Nimbostratus clouds form a smooth gray layer across the sky. In the third category of clouds are the high clouds. High clouds are found 20,000 feet above the earth, or higher. There are three kinds of high clouds. There are cirrus clouds, cirrostratus clouds, and cirrocumu- lus clouds. All high clouds are formed entirely of ice crystals. The middle and low clouds are mainly water droplets. No two clouds are exactly the same. They are always changing their shape or form. 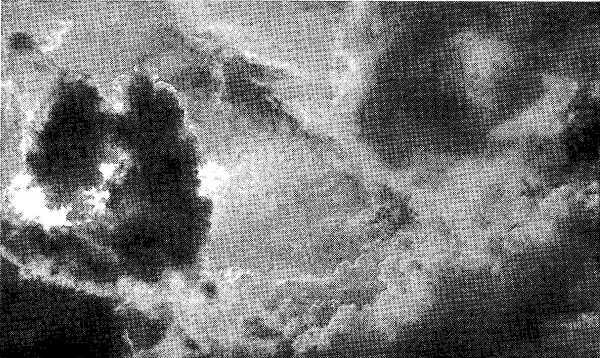 Clouds are interesting to scientists, to artists, and to picnickers. В. Mental Rehearsal and Review of the Talk A cloud consists of tiny drops of water or ice crystals. A cloud floats in the air. Clouds are grouped according to their height above the ground. There are three major groups of clouds. There are low clouds, middle clouds, and high clouds. The low clouds float less than 6,000 feet above sea level. The low clouds float less than 1,800 meters above sea level. There are two kinds of low clouds. The middle clouds are 6,000 to 20,000 feet above sea level. The middle clouds are 1,800 to 6,100 meters above sea level. Middle clouds are grouped into three sub-. classes. The third category of clouds is the high clouds. High clouds are 20,000 feet or more above the earth. There are three kinds of high clouds. High clouds are formed entirely of ice crystals. Middle and low clouds are mainly water droplets. No two clouds are the same. They are always changing their shape. 1. How are clouds classified? 2. At what height above sea level are low clouds found? 3. Which group of clouds is usually found between 6,000 and 20,000 feet above sea level? 4. What do all high clouds consist of? 5. Which kinds of people are interested in clouds? 1. Clouds are grouped into classes according to their size. 2. The clouds that are closest to the earth are the middle clouds. 3. Stratocumulus clouds are one kind of low clouds. 4. The middle clouds usually float between 1,800 and 6,100 meters above sea level. 5. One of the subclasses of middle clouds is called altostratus clouds by sceintists. 6. There are three kinds of clouds that float higher than 20,000 feet above the ground. 7. All high clouds are formed partly of ice crystals. 8. Low, middle, and high clouds are mainly water droplets. 9. Clouds are always changing their color. 10. Scientists and picnickers are interested in clouds for the same reasons. Куриленко Ю. В. 400 тем по английскому языку для школьников, абитуриентов, студентов и преподавателей. Учебное пособие. БАО-ПРЕСС Рипол Классик, Москва 2010. Malcjlm VcConnel from Reader’s digest? Первое сентября (English) № 5 2007г.